LANDMARK WEST! 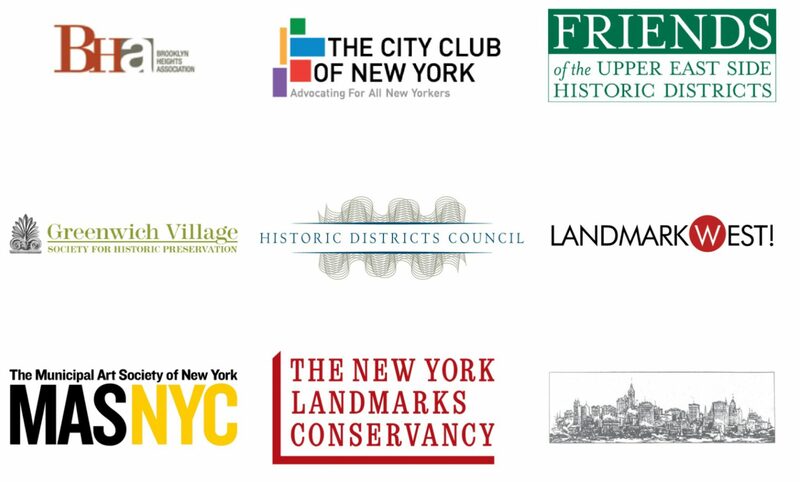 along with the the Brooklyn Heights Association, The City Club of New York, Friends of the Upper East Side Historic Districts, Greenwich Village Society for Historic Preservation, Historic Districts Council, The Municipal Art Society of New York, The New York Landmarks Conservancy and the Society for the Architecture of the City signed onto a joint statement asking the LPC to rescind its proposed rules changes. Read the FULL LETTER and further coverage of this in CURBED.